Every year, some pundit at the beginning says that blogging and SEO are finally dead and that it is time for rends to move on to other marketing techniques. Within a matter of weeks, that person is proven wrong, or the real message they were trying to get across really comes out, and that is that we can’t do things the same old way we did last year and expect different results. The truth is blogging is not dead in 2018. In fact, it is just as relevant if not more so than it has been in the past. 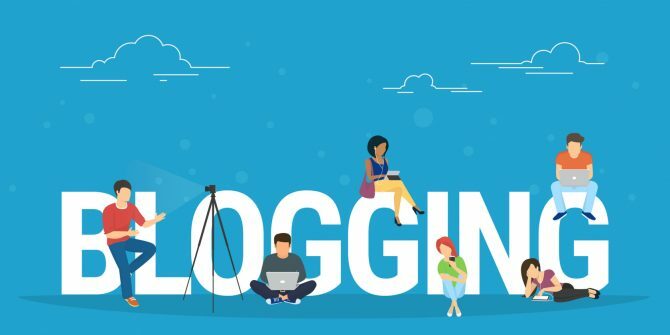 Still, it never hurts to review why blogging is not dead in 2018 and refresh our look at why it still matters. When it comes to inbound marketing and ranking in search engines, content is king. This is one of those statements that has been thrown around for years, but we often forget what it means. Here is the simple breakdown: every piece of content on your website matters. Content lets search engines know what your site is about and establishes its authority, gives users a way to find you, and gives them something that engages them when they do arrive at your site. Your content is more than just your blog though. Your Domain Name, Page Names, and Titles: Your content starts with your domain name, which is like the sign to your building. A relevant domain name with the right keywords draws in customers, just like the title of your pages and the titles of your blog posts do. All of them should be relevant to what is on the page and catch the reader’s attention. Keywords: The right keywords not just in your domain name and titles, but throughout your content makes your content easy to find on search engines, but repeated keywords done correctly also engage your readers and keep them focused on the topic at hand. Product Descriptions and Landing Pages: These are all content as well, and should be designed to engage and convert the customer. Photos and Graphics: Yes, these are content and should relate to your site, but the meta data and alt text behind them also increases the value of your site. Anything a user could encounter or read on your site is content, and all if it rules the search engine and SEO world. The king might rule the kingdom, but if the queen is not happy, nobody’s happy. It is easy when talking about websites and blogging to focus on the effect these efforts have on Google and other search engines, but the real reason we create them is the user. The user experience is what matters. Your blog needs to be informative, engaging, and entertaining to keep readers from bouncing and going the other direction. There are different types of internet users and readers, and you need to have content that appeals to all of them. The user is the queen, but Google still matters a great deal. Artificial intelligence and machine learning mean Google is smarter than ever. In other words, it reacts to your content more like a user would, and less like a machine. The reason blogging still matters in 2018 is that Google is better at looking for and finding answers than it ever has been, and the ability to see through spammy content is better than ever. Good, relevant blog posts are essential to earning organic traffic, likes, and shares than ever before. Think of the world as it is today. Most users are using Google and other search engines to find specific answers. Where is this business? What are the hours? How far is it from me? What do products or services cost? Alternatively, apart from shopping questions, they are also looking for solutions to problems. The more of these solutions your company blog offers, the more traffic you will get in your niche. As mentioned under content, keywords matter. They matter everywhere, but especially in your blog. Think of the number of searches performed with features like “Hey Siri”, “Hey Alexa” and “Ok Google”. The things people are searching for are answers made up of keywords. The more keywords your posts have, and the denser those words are without sounding unnatural, the better. You don’t want to overdo it, and keyword stuffing blog posts is dead, and can even get you penalized by Google and other search engines, but the right number of keywords incorporated in a natural way can earn you higher rankings. No matter what year it is, organic traffic is still the best kind of traffic. This traffic comes from search, and regular content and website updates is the key to that search traffic. Why? Because the more often you post or make edits to your posts, the more often the “spiders” search engines use to scour the internet for content will visit your site. This will increase your rankings in search for those topics. This is how you get more organic traffic. While the principle itself sounds simple, the execution can be more complex. Still, understanding where organic traffic comes from and how best to get it is crucial to success in 2018, and your blog is a big part of that. The final reason blogging still matters in 2018 is that the principle of reciprocity still applies. If you give someone something, they are much more likely to buy from you, not out of a sense of obligation, but because your generosity begets sales. This principle is a simple but often overlooked one. Answer your reader’s questions, give them answers to problems, and given them instructions on how to do things that are actually useful, and the sales will follow. They will think of your product or service whenever they need help, and as a result of that trust they have built in you, will purchase from you as well.